Divided into three distinctive time slots, Devour! The Grills has something for foodies of all ages! Starting at 8:30 a.m., kick start your day with a mouth-watering market breakfast prepared by Chef Stephane Levac from Frais Catering. At 10:00 AM, join Chef Lauren Marshall and Chef Diandra Phipps from enVie–A Vegan Kitchen for an authentic vegan/vegetarian trip through the market. Our last slot will be sure to fuel you for the rest of your busy, film-filled day, with a delicious lunch prepared by Chef Steven Galvin and the crew from Getaway Farm, Chris De Waal & Ben Andrews. In between, browse the market and enjoy some of the region’s best local offerings. Stephane Levac is a self-taught, up and coming chef, catering in Wolfville, Nova Scotia. Understanding the importance of gaining a wide range of experience, Stephane has worked under professionals such as Michael Howell and Dave Smart, who he will be joining at the 2014 Gold Medal Plates event. Stephane and his partner started their own catering business, Frais Catering, a few years ago to rapid success. Since opening, they have catered special events for Gaspereau Vineyards, Jost Vineyards, Local Connections Halifax and Adrian Campbell Classic, among others. Recently opening a store front café at The Wool N Tart, they were voted 25 Best Eateries in Nova Scotia through Local Connections Halifax within three months of opening. Stephane was also named The Wolfville Farmers’ Market’s Tastes of the Valley Judges Choice for Best Savoury Award. Hailing from Nova Scotia, Lauren Marshall has cooked all over the world with executive roles in Nantucket, Belize and Australia. Earning her degree from the Culinary Institute of Canada in Prince Edward Island, she recently finished a diploma program at the Canadian School of Natural Nutrition. Lauren is extremely passionate about teaching people how to cook nutritious foods, helping them to become the healthiest versions of themselves. Lauren was inspired to be a nutritional chef by her grandfather who was a chief cook in the Royal Canadian Navy, and by her mother who suffered from Diabetes and Cardiovascular disease. 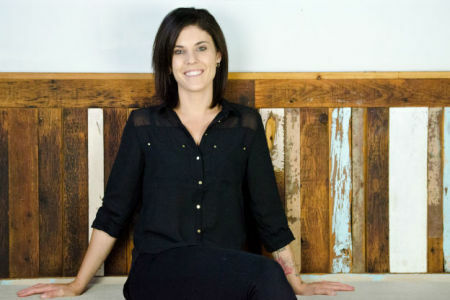 Lauren gained local popularity by competing on the Food Network’s popular television series Top Chef Canada, Season 4. 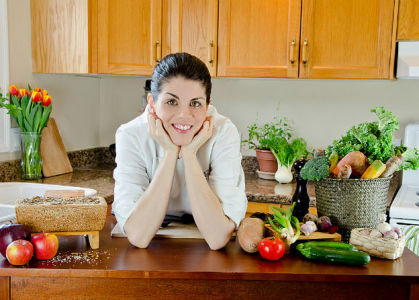 It was here that she proved to the entire country that being a vegan chef couldn’t hold her back from achieving success. She now enjoys her employment as executive chef at enVie a Vegan Kitchen, and as a culinary instructor for Loblaw’s. A young, up and coming Nova Scotian, Diandra Phipps graduated from Mount Saint Vincent University in 2010 with a Bachelor of Business Administration, followed by certifications in Plant Based Nutrition from Cornell University and the Institute of Integrative Nutrition. In 2012, Diandra felt she was in an ideal position to bring modern vegan cuisine to Halifax. At 24, Diandra travelled to Germany to help a friend open a vegan restaurant in Heilbronn named VELO. It was there that her love for cooking manifested into a passion and talent that would propel her to start a ToGO food business, run primarily out of the Alderney Landing Market in Dartmouth. In 2013, enVie found its home in the North End of Halifax, and continues to surprise even the most sceptical through innovative, yet familiar, vegan cuisine. Diandra has been part of a revolutionary change, not only in the dining experience, but as a founder and pioneer of a new movement in Halifax, centered around education, community, and social well-being. 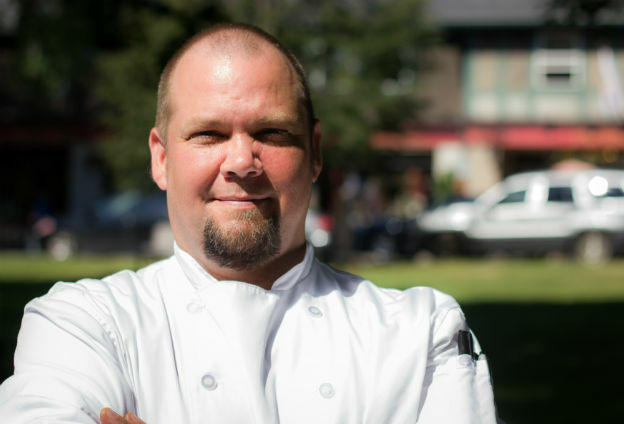 Originally from the Ottawa valley, Steven Galvin has grown from home-town cook to international chef during his culinary career. Having cut his fine-dining teeth at the Blue Water Café in Vancouver, Steven moved to the acclaimed Whistler restaurant, Araxi, as Sous Chef. Seeking to expand his skills, he spent time as Chef de Partie with the Holland America Cruise Lines before taking the honoured position of Chef to the Canadian Ambassador to Italy in Rome. Returning to Canada in 2009 as Chef to the Lieutenant Governor of Nova Scotia, Steven had the opportunity to serve as Personal Chef for Her Majesty Queen Elizabeth II during her stay at Government House in 2010. Having spent the last few years at Elements on Hollis helping develop a locally driven menu, Steven has recently taken on the role of Executive Chef at Getaway Farm, where he seeks to work with his farmer and butcher teammates to further the cause of local, sustainable, nose-to-tail eating in Nova Scotia. Hailing from Southern Alberta, Chris de Waal, Entrepreneur and Farmer at Getaway Farm and Butcher Shop, is no stranger to taking a chance and creating change in the world. 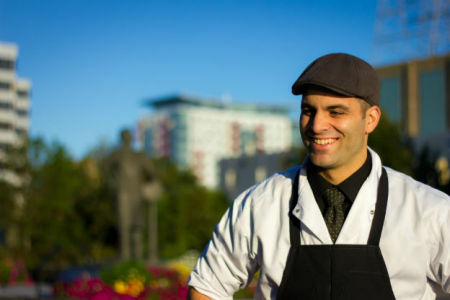 Making the move to Nova Scotia in 2009, Chris knew that the province was positioned to become a champion, not only of “local food” but of a “local mindset”. 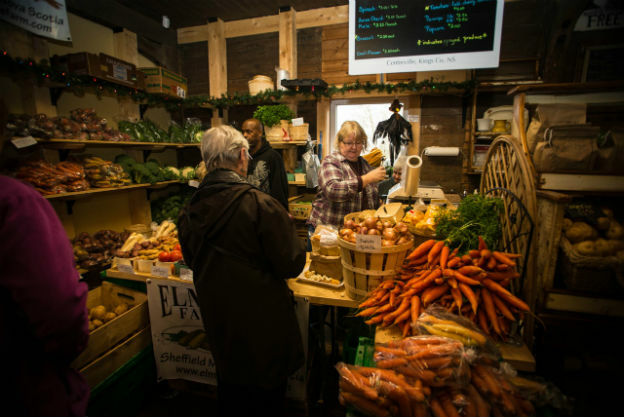 Starting with an old, forgotten farm near Halls Harbour and a small stand at the Halifax Farmers’ Market, the Getaway Farm family has worked hard together to bring local, sustainable meat products to a supportive Halifax public. Getaway has earned a loyal following through its commitment to deliver quality local products to an open, honest food system, growing into a bustling 700 acre farm, and two full-time butcher shops. Patrons appreciate seeing farmers working with their food, serving customers and sharing the ups and downs of farming life. The journey of the last five years has taught Chris a great deal about life, family, food and culture. Taking a chance on a career in which he had no experience has resulted in many blessings. 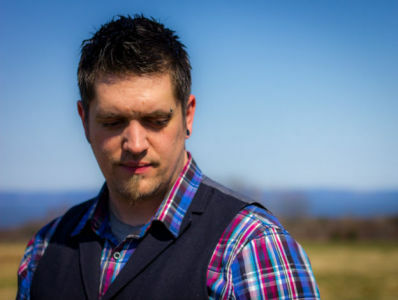 Connecting people with their food, ensuring animals are treated well, and continuing a long tradition of family farming are all joys in their own right, but what has mattered most to Chris has been the opportunity to build and contribute to a vibrant Nova Scotia community. Hailing from the majestic country of New Zealand, Ben Andrews began his butchery career at the age of 18 when he accepted a butcher’s apprentice position. Initially only looking for a trade to “fall back on”, he had no idea that seven years later he would be transplanted to Canada and thrust into the role of championing a dying trade. Upon his arrival in the Great White North, Ben was surprised to find the butchery trade, as he had thought it was on the brink of extinction. Saddened by the loss of a noble trade, a desire was sparked to help restore Canadian butchery to its former glory. 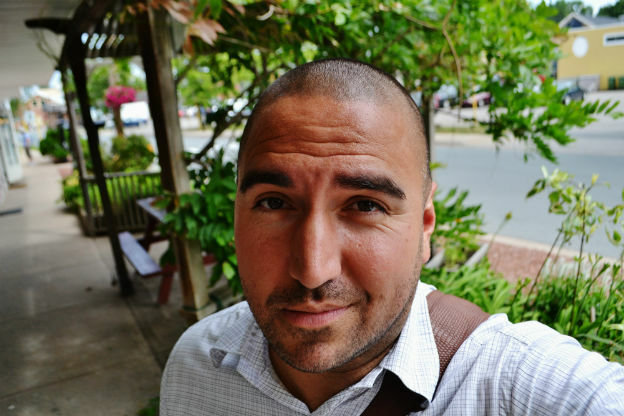 Now a papered butcher with 15 years of experience, Ben is passionate about whole carcass butchery and reconnecting people to where their food comes from. He prides himself on being an integral part of the farm to table movement in Nova Scotia as part of the Getaway Farm family.